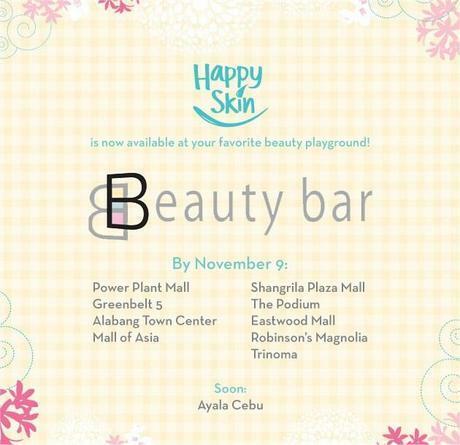 Happy Skin Cosmetics :) at Beauty Bar Starting Nov. 9!
. Otherwise, if the storm actually hits please stay indoors once those Typhoon Signal alerts start going up! Be safe everyone! You can follow Happy Skin PH on Facebook here and check out my introduction and review of the brand Happy Skin over here.